Author/Opus: This is the 239th puzzle from our contributing puzzlemaster Serkan Yürekli. Answer String: Enter the 1st row from left to right, followed by a comma, followed by the 9th row from left to right. 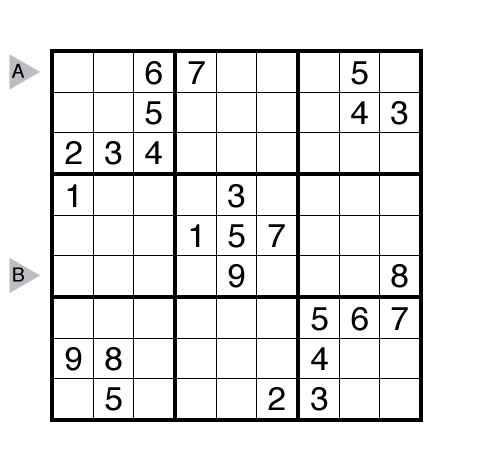 Author/Opus: This is the 3rd puzzle from guest contributor Rajesh Kumar. Answer String: Enter the 5th row from left to right, followed by a comma, followed by the 7th column from top to bottom. 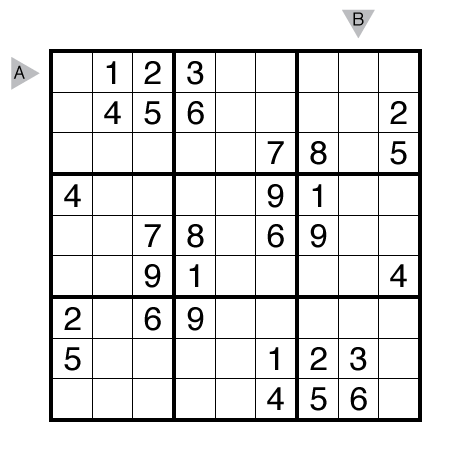 Author/Opus: This is the 212th puzzle from our contributing puzzlemaster Serkan Yürekli. Answer String: Enter the 4th row from left to right, followed by a comma, followed by the 8th row from left to right. 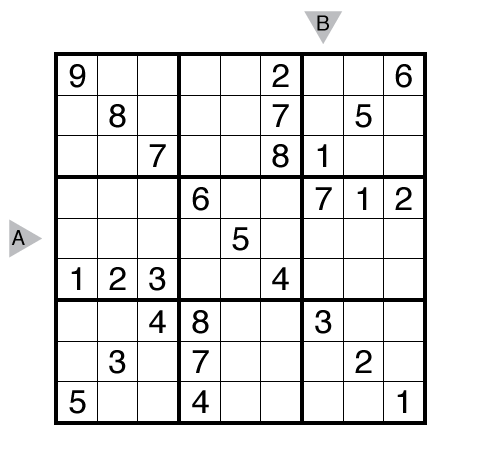 Author/Opus: This is the 187th puzzle from our contributing puzzlemaster Serkan Yürekli. 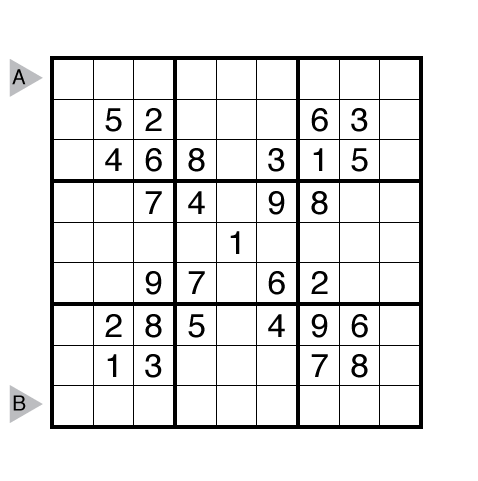 Note: Follow this link for other classic Sudoku. 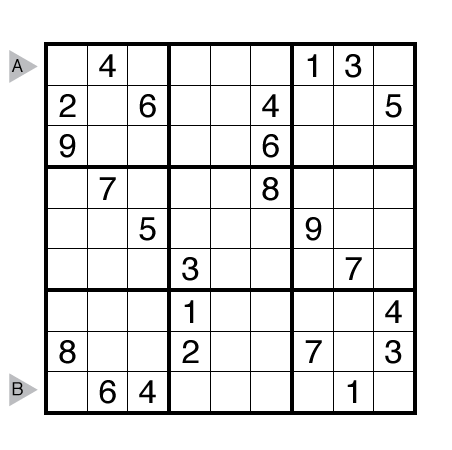 If you are new to this puzzle type, here are our easiest Sudoku to get started on. 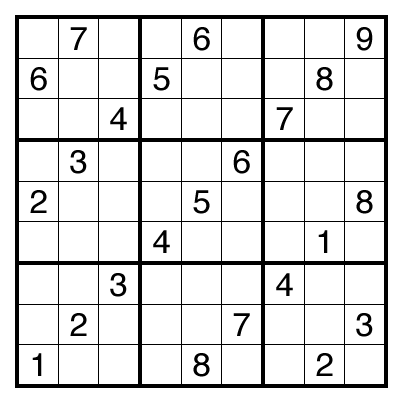 Author/Opus: This is the 307th puzzle from Thomas Snyder, aka Dr. Sudoku. Answer String: Enter the 1st row from left to right, followed by a comma, followed by the 8th column from top to bottom. 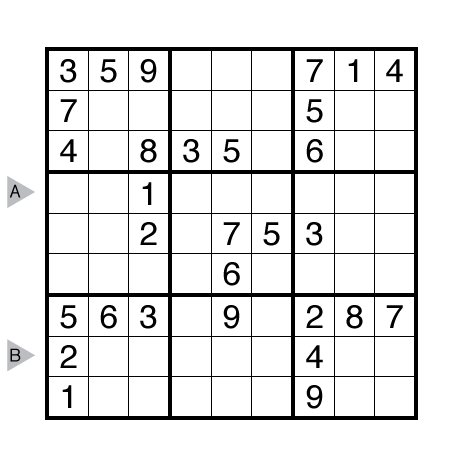 Author/Opus: This is the 287th puzzle from Thomas Snyder, aka Dr. Sudoku. No answer string (just click “solve”).